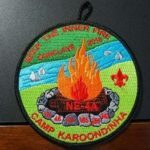 Since I’ve barely started the 2015 NYS Conclave issues, I thought I’d better post the 2016 information as I receive it. 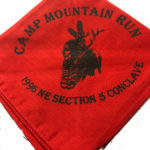 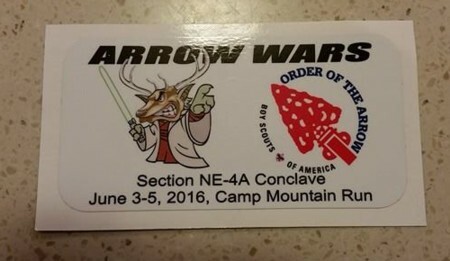 The Section NE-4A 2016 Conclave was hosted by Ah’tic Lodge #139 and held at their Camp Mountain Run the weekend of June 10-12, 2016. 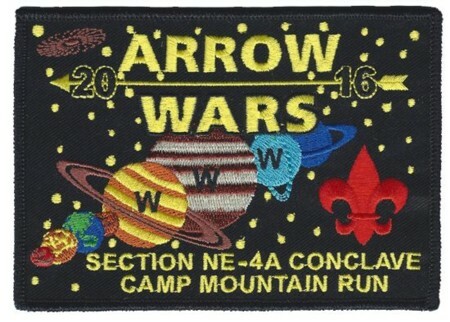 The theme was Arrow Wars. 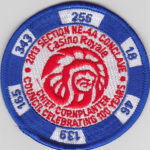 Todd Rogers and Chris Carlson advised they only issued a single pocket patch and a couple of non-cloth items. 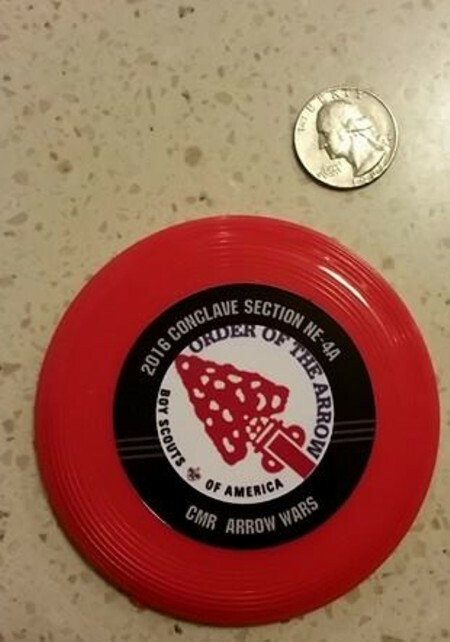 and there was a promotional sticker with the wrong date. 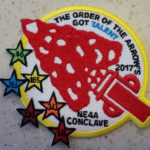 Section NE-4A 2017 Conclave Issues.